A supplement to Yesterday piece just for the fun of doing it, but with actual "news" this time. An unsuspecting Japanese man was in a overseas trip to Los Angeles when he decided to pay with his credit card. Only problem was that said card (pictured above) featured characters from popular simulation (and a lot of different media adaptations) game The Idolm@ster, the store clerk thought it was too cute so he decided the card was fake. He called the police and they arrested the man accusing him of fraud. Fortunately, the man's bank in Japan followed up on the case quickly, offering their apologies and telling the man to wait until the evening for a free meal. SC: Ummm excuse me sir, we don't accept waifus as payment over here, so wait here while I call the police because your card it's just too cute to be real. Man's Bank: We apologize for the inconvenience, so we are offering you a lovely dinner as a compensation. Man: Just a Dinner??!!! Come on, I was almost put in Jail, can't you do better than that? Man's Bank: How about Dinner at a Maid café then? 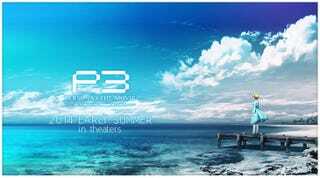 That's the title from the second movie adaptation based on the videogame Persona 3 that will be airing on summer 2014 on Japanese theaters and the image you see at the top is the first promotional image that was just recently put on the official web page, and as some of you may remember the first Movie Persona 3: The Movie #1 Spring of Birth started to air on November 23, the point here is, do you think we are going to get this movies over here?, and I don't mean as physical media, I'm referring to bring the movies to actual Movie Theaters. ClariS is doing the Opening Theme for Nisekoi. Following yesterday's recommendation of the Animes to keep an eye on this Winter season, I talked extensively of Nisekoi, and another reason to do it it's that ClariS who TAYers may know for singing the Openings song for both seasons of OreImo (and also the openings from Makoka Magica). Opening songs are really important for me, since I end up watching some series just because I liked Opening song, that's the reason I watched Humanity has Declined and glad that I did (that amazing opening by nano.RIPE is hypnotic) or the reason why I love Tower of Druaga so much. Have ever made picked up an Anime just because you liked the Opening song? 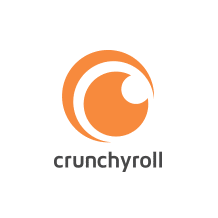 The Chernin Group announced on Monday that it has acquired a majority stake (over 50%) in the media distribution (or the site we go to watch Anime, Doramas and most recenly read manga) website Crunchyroll. The company noted it will use the website to expand into different genres whatever that means. The Chernin Group noted that Crunchyroll's senior management will retain a "significant" stake in the company along with its investor TV Tokyo so I hoped all the changes are for the better.